Posted on December 31, 2009 by Kathy T.
As you bid 2009 a “good riddance” good-bye, celebrate safely! May 2010 be prosperous for our community and residents. May it bring new jobs, a better economy, good neighbors, and wisdom to our elected officials to make the right decisions that will have the best impact on the people of this community – current and future! Posted on December 29, 2009 by Kathy T.
I tried out the New Apple Buffet on December 23rd – dragged my husband there for our 23rd anniversary. I’ve been procrastinating writing about it here because I didn’t love it. Yes, I liked it just fine but I so want to *love* the place! 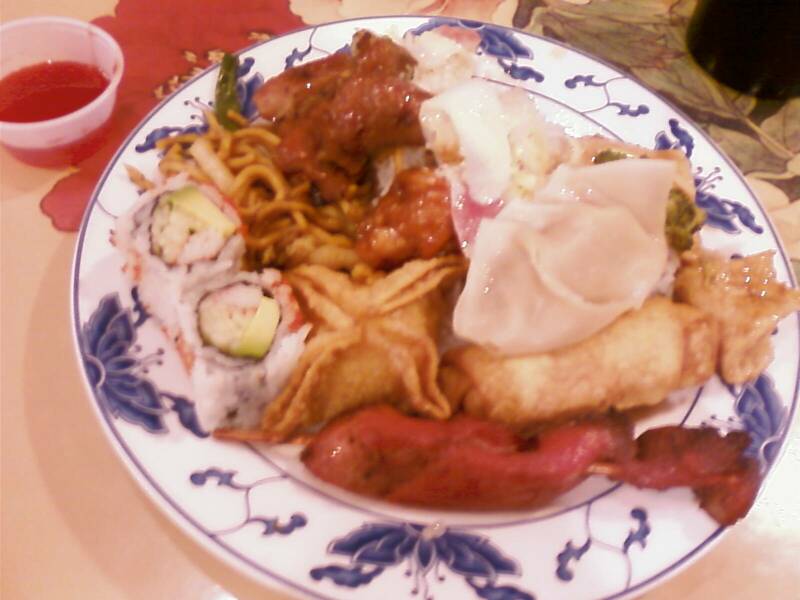 There are about 8 eight food bars to graze through that include your regular Chinese buffet dishes: white rice and fried rice, chicken on a stick, crab rangoons, egg rolls and spring rolls, lo mein, sesame chicken, beef in broccoli, honey chicken, etc. It was all good. There are two buffets dedicated to salads and desserts, plus another freezer for hand dipped ice cream. I had some of the regular food (see photo to the right), but also tried two California rolls – I don’t like raw sushi so the California rolls are wonderful for my taste buds. And they were okay – not as good as Tokyo Japanese Restaurant in Smyrna, but good. I regret that I didn’t try the hibachi grill, but I didn’t figure out that you load the raw food on your plate that you want prepared and hand it to the Hibachi chef. I saw several people doing this after I’d already eaten … will definitely do it next time. They do have crab legs and hot butter and I really enjoyed that. The cost of the lunch buffet is $6.59 and dinner is $9.99 (dinner starts at 3:30 pm). On Sunday, it costs $9.99 all day. And drinks are extra, of course, at prices I dislike at every Chinese buffet I’ve gone to. Water with lemon! Or lime! The hostess and other people who worked there were very efficient. They were great about removing used plates and bringing refills. I will definitely go again and hope that if I do the Hibachi side I’ll love it rather than just liking it. Because I want to love it. I really do. It’s so important that we support our local businesses so we can grow into more than just a town near Nashville with affordable housing and lots of auto parts stores. Please comment as you try it out! And thanks for those of you who already shared. 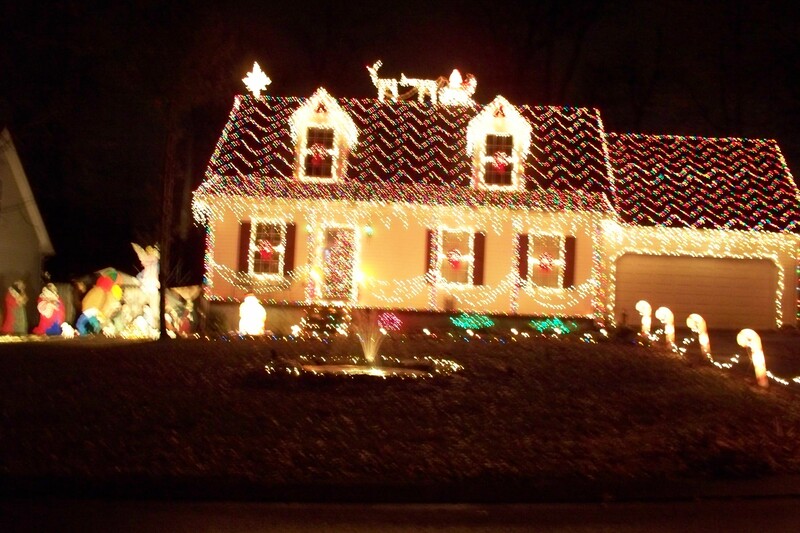 Posted on December 20, 2009 by Kathy T.
I vote for this house in the “best of” Christmas lights for LaVergne. Not that we have a contest going or anything. This is deep in Lake Forest off Bill Stewart… the house is on Ruth Lane. BEAUTIFUL. Great job people who live there!! 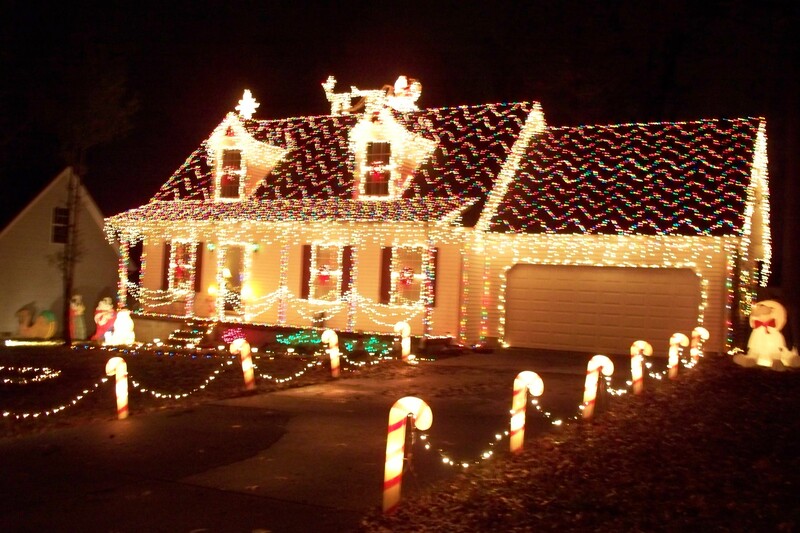 Want to send us a picture of your Christmas lights? Or any lights in LaVergne that you think are lovely, spectacular, or pretty? Send it to lavergneblog (at) gmail (dot) com. Posted on December 15, 2009 by Kathy T.
Thursday, Dec. 17, 4 p.m.
Posted on December 10, 2009 by Kathy T.
The H1N1 flu immunizations, available for $10 each, will be administered by Kroger immunizing pharmacists. H1N1 vaccine (both nasal and injectible) will be available in most Kroger pharmacies, but quantities are limited and will be available while supplies last. Kroger is partnering with local, state and federal health authorities, including The Centers for Disease Control, to distribute the H1N1flu vaccine and government-issued supplies of anti-viral medications. Have you gotten a flu shot? Are you planning to? Posted on December 9, 2009 by Kathy T.
The city is in contact with a vendor for a curbside recycling program, but they are trying to gauge the interest first. A survey is up on the city web page, but we wanted to run it up the flagpole here too. Please vote!! Posted on December 4, 2009 by Kathy T.
Public Works crews and Hoover Construction will be working on Waldron Road between Blair and Lake Road over the next 2-3 weeks depending on the weather. Public Works crews and Hoover Construction will be working on Waldron Road between Blair and Lake Road over the next 2-3 weeks depending on the weather. They will be removing bad areas of Asphalt and replacing the base then overlaying the entire road. Who’s coming to the Nashville Christmas Parade tonight? If you do, watch for the Tennessee Twirlers! My daughter and two others get to ride in the horse-drawn carriage … the princess/queen brigade. We hope to start another twirling class in LaVergne this January or February, so if you have a kiddo at least five years old who wants to “give it a twirl” let us know!